Mezzanine Flooring Birmingham are a professional outfit based in the heart of Birmingham. We supply and install state of the art mezzanine flooring systems for evolving businesses. 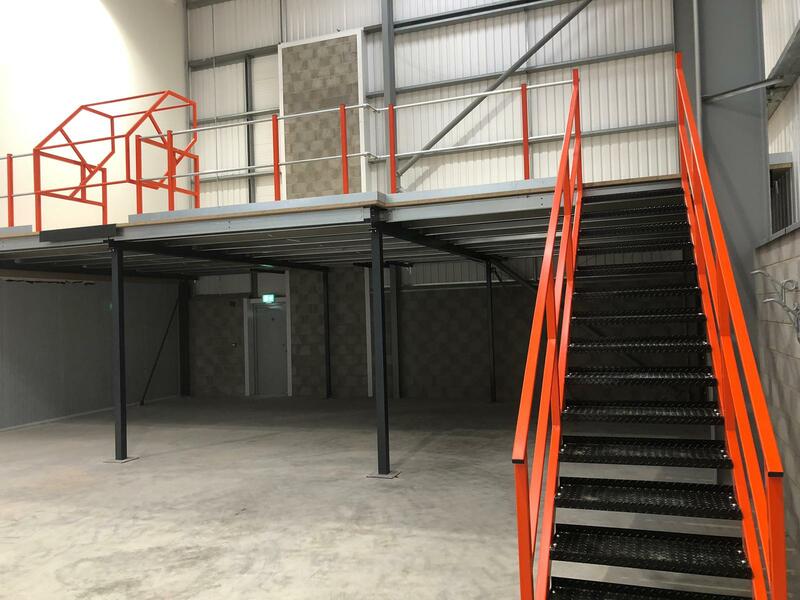 Mezzanine floors are a very cost effective way to quickly get you the extra space that you need, without the inconvenience and expense of having to relocate to another building. 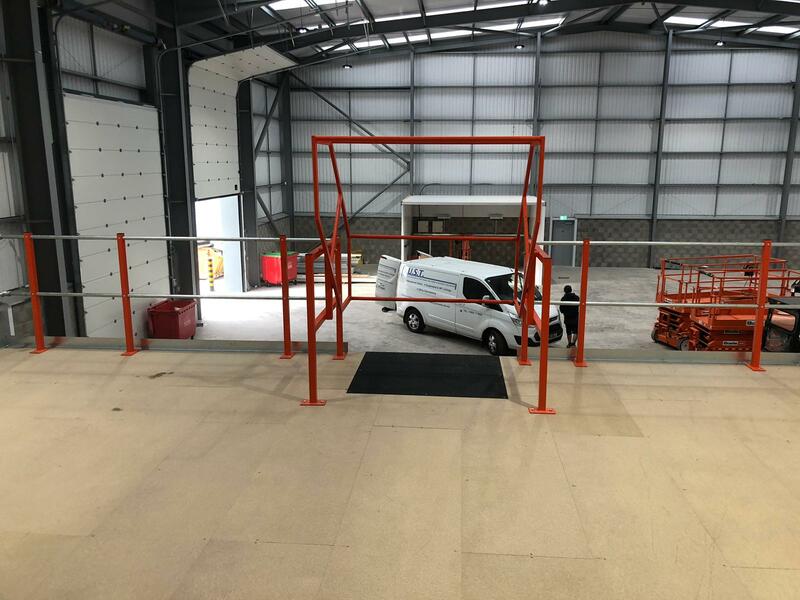 Our latest mezzanine floor installation carried out in south Birmingham with stairs, handrail and a loading bay, for more images please view our gallery of completed works. I appointed JUST Ceilings just over 8 years ago as a supplier to Rockline for many ceiling, wall, mezzanine work and many building installation and repair work. The service they have given us is first class. Their work is done in a tidy manner and they always go the extra step. They provide all relevant documentation such as Risk Assessments and Method Statements in full and prior to the jobs start date. They are a great Team to work with. Mezzanine Flooring is an intermediary floor that is located in a building with a high ceiling with the center open to the floor below. It is much similar to a balcony but mezzanine floors are normally much larger in size and actually serve as useable space. A mezzanine floor is a common way to add extra floors to a building at an affordable cost. The oldest mezzanines can be seen in buildings in Paris, France but they are most popularly used in modern architecture. 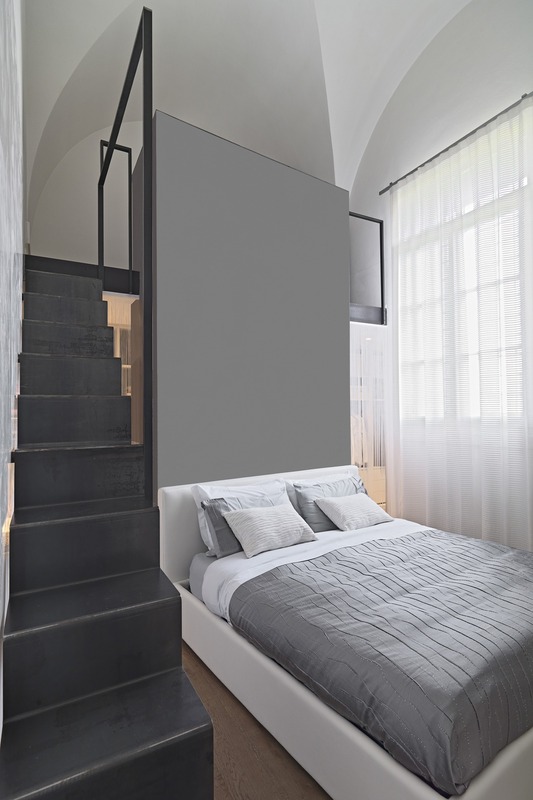 As modern architecture focuses on space and lighting, mezzanines have gained popularity due to the fact that they provide extra area without taking up any extra space. With the industrial revolution, industrial mezzanines gained widespread popularity and a number of types of mezzanine floors have been developed since then. Due to its space-saving advantages, many types of buildings benefit from building an extra floor on top of their ground floor rather than relocating or reconstructing. A professional architect should always be used to determine what type of flooring to use and also to determine whether the building is suitable for installation or construction of a mezzanine. 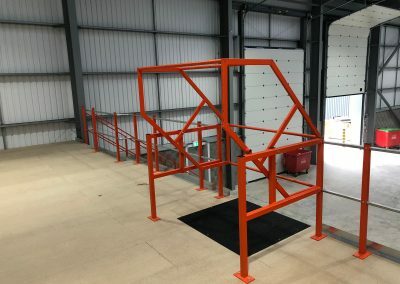 Normally used in warehouses and factories, industrial mezzanines are not normally constructed with the building but are rather installed on to an area after construction as the need arises. Steel mezzanine floors are a popular method used by industrial building owners to acquire additional work or storage space without having to reconstruct their building. These floors are built out of Open Web Bar Joists, Hot-Rolled Structural I-Beams, Structural I-Beam Columns, and Tubular Columns. They can be decked with B-Deck and Plywood, Plank Decking, Bar Grating, B-Deck and ResinDek, Diamond Plate Steel, and Concrete. Common finishes for these structures include Hot Dipped Galvanized, Wet Paint, Epoxy, Powder Coat, and Urethane. Stairs are normally used for these floors and swing, lift-out or sliding gates can be installed. These floors provide a much higher amount of column space than any other type of industrial mezzanine. Due to the open web bar joists, utilities like water pipes and electrical wiring can easily be passed through this type of flooring. The open joists also provide the feel of a more open space. These are built by bending sheet metal to a c-channel in a roll form or break press with tapered or tubular steel columns because they also commonly use stairs while a Solid Panel or Baluster Handrail may be used. Sliding, swinging, or lift-out gates can be applied to this type of flooring. The decking can be made out of Bar Grating, B-Deck and Plywood, and Plank Decking while the finish is Pre-Galvanized, powder coat, or wet paint. As these types of floors are made out of sheet metal, they are much lighter than other types of industrial mezzanines. They can also be used for display purposes and in public areas as they have a very smooth finish and are attractive to look at. The fact that they are pre-galvanized makes them a more cost-effective option as compared to other types of flooring. There are two production methods for this flooring type. It is either sheet metal bent into a c-channel using a break press with tubular steel columns or structural steel I-beams with structural steel columns. Solid panel or horizontal 2 and 3 rail handrails are used with stairs and a sliding, swinging or lift-out gate. Decking options include Plank Decking, Stainless Diamond Plate Steel, and Bar Grating. They don’t normally require a finish but powder coating can be used depending on the application. Due to the stainless steel material, these types of flooring’s are FDA approved as they are highly resistant to moisture and most types of chemicals. They are normally used in food preparation, processing, or storage areas while chemical warehouses may also use these types of mezzanine floors as they require minimal effort to wash down. These floorings have tubular aluminum columns and are made from extruded I-Beams or c-channels. Lift-out, sliding, or swing gates can be used with stairs. The most popular decking for these are Fiberglass Bar Grating and Aluminum Plan Grating with an Anodized Aluminum finish applied at the end. Aluminum is totally resistant to rust and water damage so it can be washed down very easily. It is also perfect for use where it needs to be immersed in liquid due to this feature. It is very light in weight so it can be used to make a mobile work platform that can be moved around as needed. These are pultruded structural fiberglass shapes with I-beam columns. They use stairs with horizontal 2 or 3 handrails and sliding, lift-out or swinging gates. The decking is mostly Fiberglass Grating while Smooth Fiberglass is used to apply a finishing touch. Fiberglass is totally resistant to rust and water damage so it can be used in areas where immersion is required. It is also easily washable and the paint is molded into the fiberglass so no paint chipping will occur from impact with a sharp object. This makes it an ideal flooring type for chemical and food product warehouses. These are racking systems that support the overall structure and are built from heavy duty shelving or pallet racks. They use stairs with horizontal 2 or 3 hand rails. They don’t normally require gates but any type of gate can be installed. Material lifts are normally used to transport goods to the mezzanine from the floor. Decking can be Plank Decking, Bar Grating, Plywood, and B-deck with a powder coat or wet paint finish. These types of systems are the most cost effective way to increase storage and are great where the storage space requirements are high. They combine the structure and storage into one unit so can provide better space. Used by businesses to add to their workspace without having to relocate, office mezzanine flooring usually includes enclosed cabins rather than open-plan work areas. They also feature additional details like floor covering, portioning, and furnishing. To give them a more executive look, office mezzanines can also be made out of wood depending on the weight they are expected to support. A protected staircase is normally required to connect this type of flooring with the ground floor. 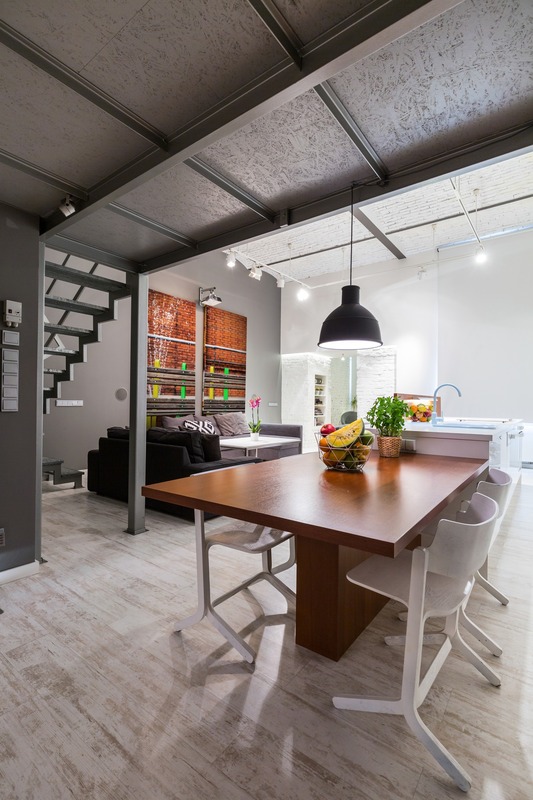 More modern day architects have been applying mezzanine floors to enhance living areas recently. This could include a small work space, an elevated bed, or storage compartments. These types of floors are normally adorned with wood finishes and feature integrated lighting to enhance their visible appeal. Small houses and studio apartments in high-rise buildings are where these types of mezzanine floors really make a difference. They can also be installed in shops with high ceilings. Steel beams and modern glass are normally used to increase the display area of a retail business while the stairs and floors are given contemporary finishes however, easy access and the fact that all shop displays on the mezzanine floor are visible from the ground floor make it a valuable addition to any retail establishment. 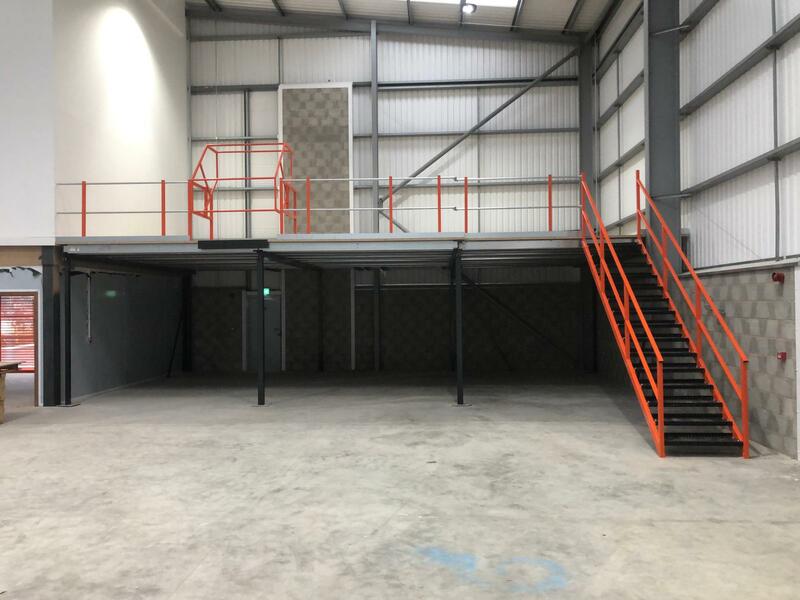 Buildings with high ceilings can reap the benefits of a multi-tier mezzanine floor, an abundant amount of working space can be added to any building at the fraction of the cost of building a whole new floor. As these are installable floors, there is a very small amount of disruption in the day-to-day tasks while the floor is being added therefore allowing work to continue in the workshops. Warehouses benefit the most from this type of floor as they can increase their storage space exponentially without having to relocate as their business grows. 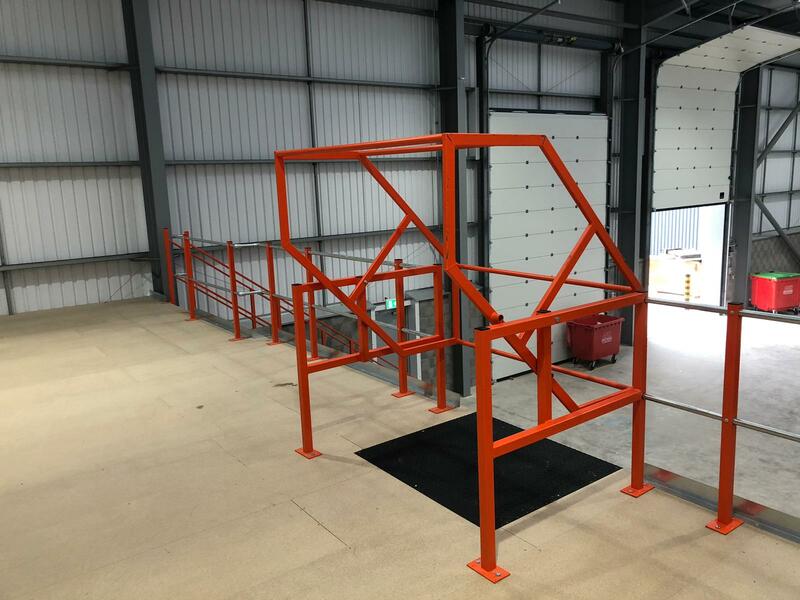 Compared to constructing a whole new floor or setting up a new base of operations, installing a mezzanine floor is an extremely cost effective way to get more out of your available space. For instance block paving only allows for one single floor, unlike mezzanine floors you can add more floors to your building without losing a fortune. Mezzanine floors that are used in public areas are adorned with a number of attractive features such as glass and aluminum which adds value to the existing building. When used correctly by a professional architect, these floors can really enhance the way your building looks this is because of the simplicity. 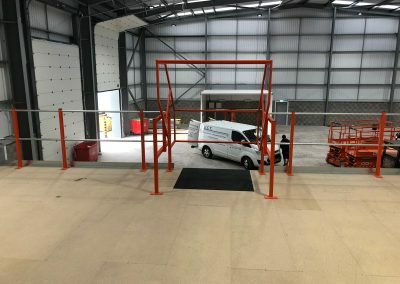 Whether it is an installable mezzanine or a construction mezzanine, the hassle is much less compared to having a whole floor built or relocation. Because there is no need to stop the work if you are having a mezzanine installed as there are minimal intrusions during the process. Because the flooring is built at a different location the installation is the only task that needs to be done on-site therefore it saves you the hassle of having to relocate to a bigger space. Besides that you can just add more space to your existing area therefore establishing a whole new setup is much harder than just adding more work area to your existing work setup. 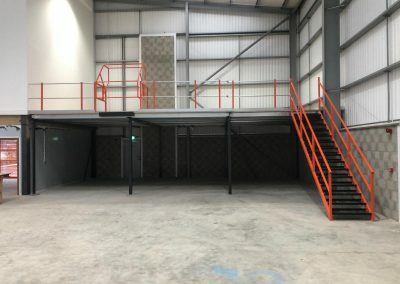 As mentioned earlier, there are many types of mezzanine floor options that you can choose depending on your requirements and budget along with the materials and finishing can also be chosen according to your specifications. A professional architect can help you figure the best solution that suits your price and also serves your purpose properly. A regular mezzanine floor is placed halfway up the wall of a floor that has a ceiling which is at least double the height of a regular floor. It does not count as a floor in the building and also is not normally included when determining total floor space. One-third of the floor space of the floor below is permitted by the International Building Code while local building codes may be different. It is always a good idea to get an update on the local building codes before you start a project. A professional architect will normally know of these codes and can inform you accordingly. 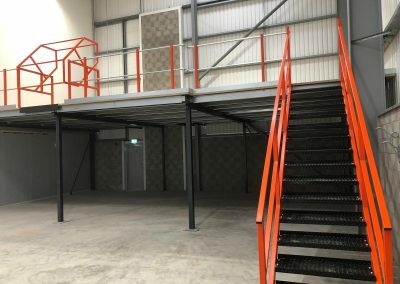 An area is allowed to have more than one mezzanine floor, though the sum total of floor space of all the mezzanines cannot be more than one-third of the floor space of the complete ground floor. As you must have realized by now, Mezzanine flooring is the most popular way to add more storage space to any kind of building while adding cosmetic value and keeping the costs low. The process takes a much shorter time than the construction of a floor so it is also the most convenient method out there. The many material options also give architects a chance to be creative and design floors that are extremely functional and aesthetically pleasing. If you’re the market for a mezzanine flooring solution, make sure you schedule a free no obligation consultation with one of our experienced sales team members. Click here to download the bre digest 437 regulations.